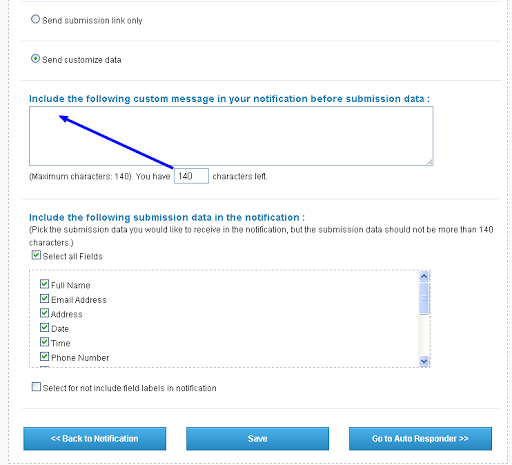 Receive instant SMS alert and directly view the form submission on your mobile phone. 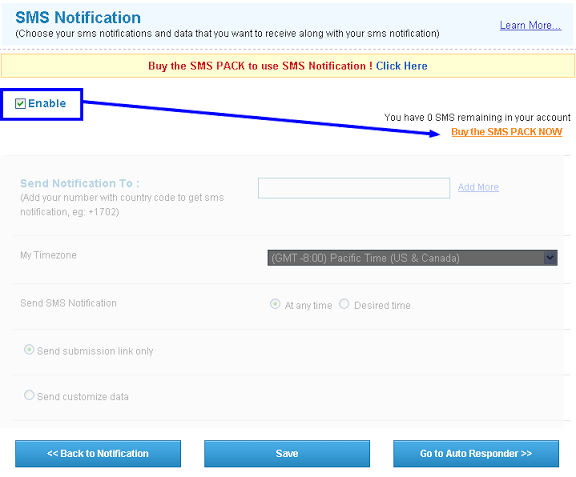 1) Enable it to get the SMS Notifications. 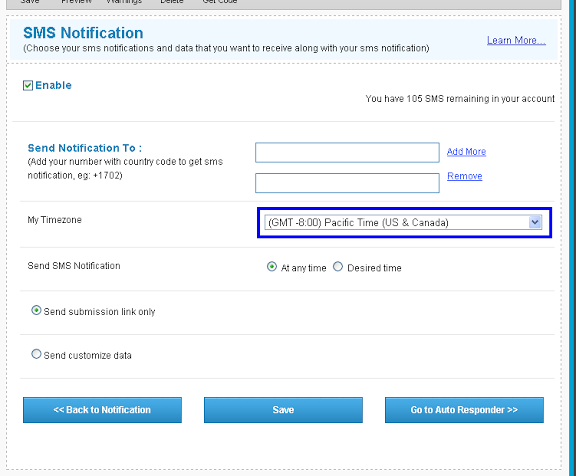 2) Enter your mobile number here with country code. 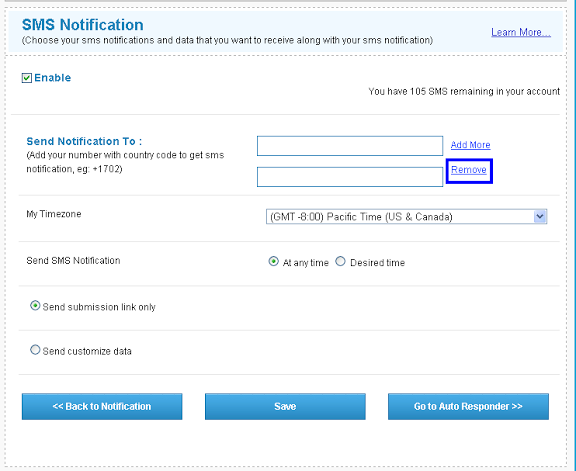 3) Click on "Add More" to add multiple numbers. 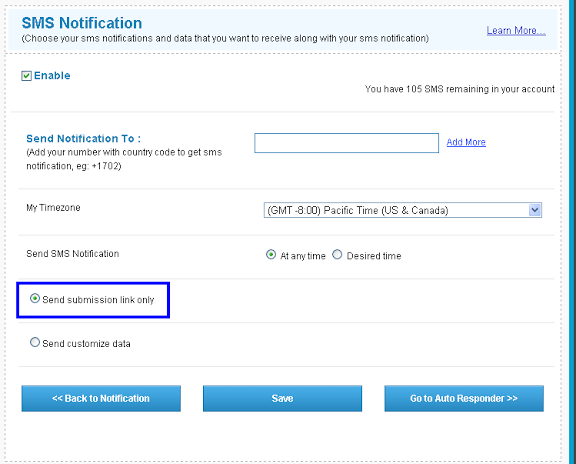 4) If you want to remove anynumber just click on "Remove" button. 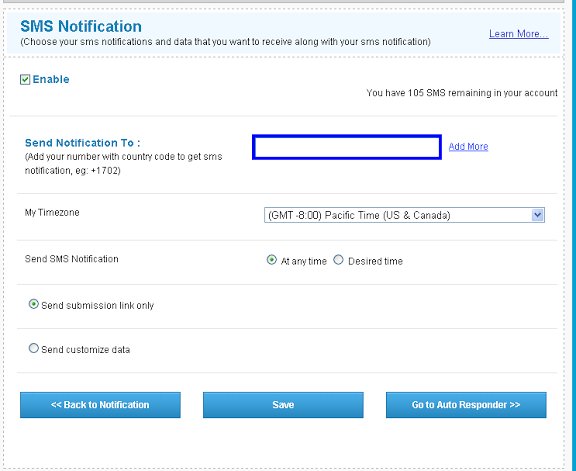 5) Select your country time zone. 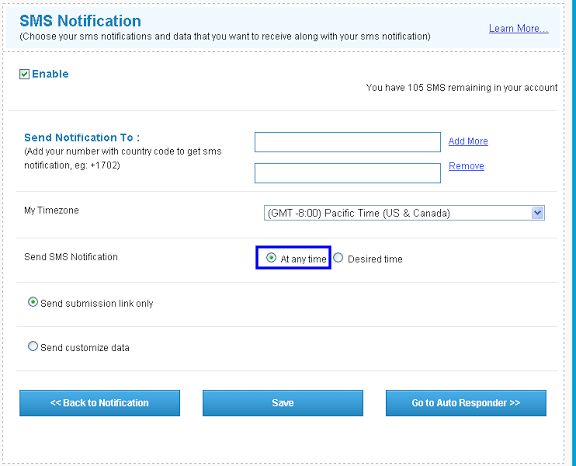 6) Click on "At any time" to get SMS Notifications at any time. 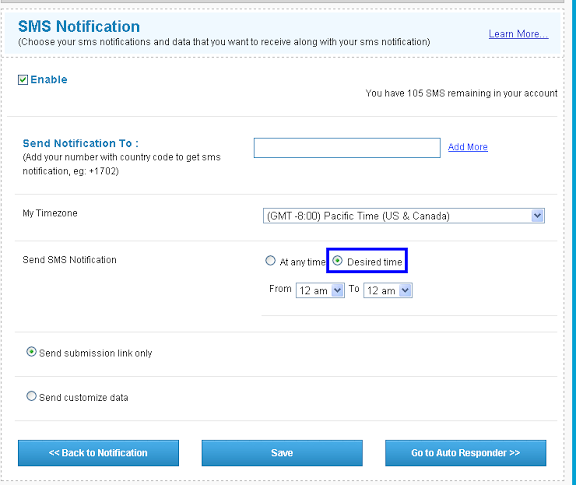 7) Click on "Desired time" to get SMS Notifications at your desired time. 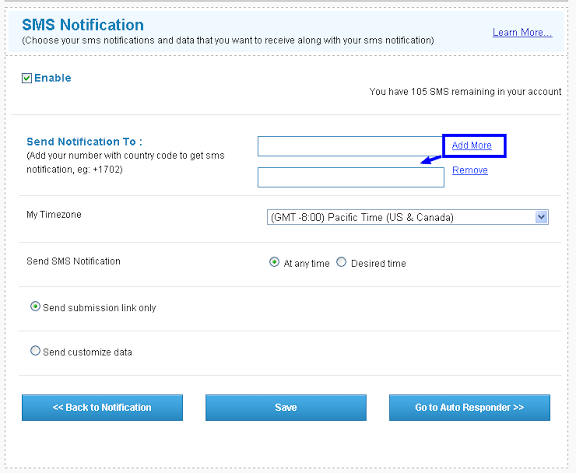 8) Select "From" and "To" time to get SMS Notifications at your desired time. 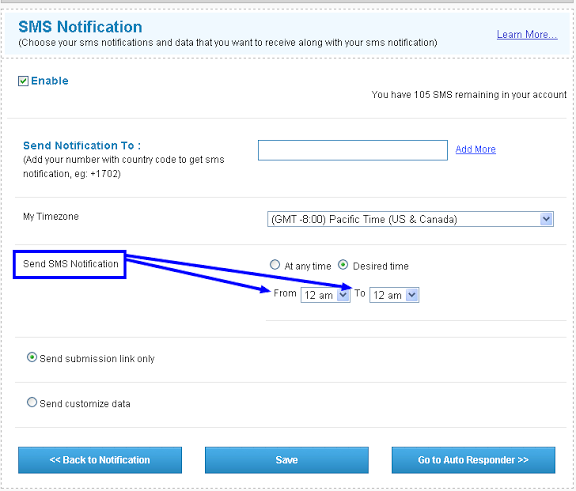 9) Select "Send submission link only" to get instantly a submission link via SMS. To view your entire submission on your mobile browser. 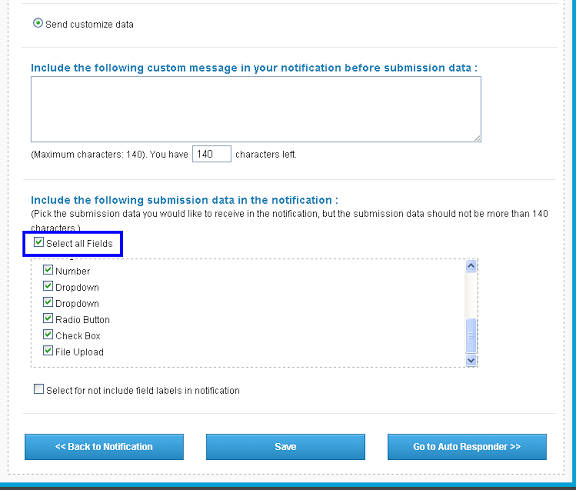 10) Enter maximum 140 characters to get any custom message on submission. 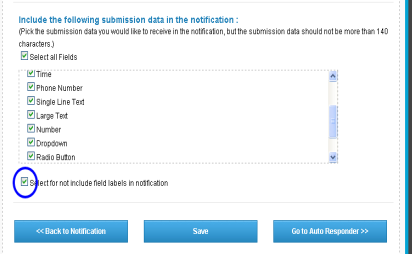 11) Pick the submission data you would like to receive in the notification, but the submission data should not be more than 140 characters..
13) Click on save button to take effect.